Enhancesys - Inventory Management System,Dealer Management System,Retail Sales Management,Enterprise Product Catalog,Sales and Distribution Management. 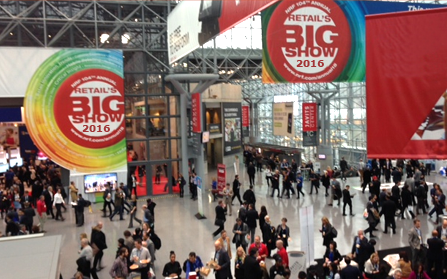 We are extremely excited to be selected for the launch pad event at the National Retail Federation, 2016. Enhancesys offers a turnkey solution for retail distribution and workforce management combined with digital financial services. The solution is strategically designed to handle emerging market conditions. Sales and distribution networks are notoriously fragmented and inefficient in the emerging markets. Without transparency down to the consumer, suppliers lack real-time understanding of consumer demands and changes in taste. Distributors cannot optimize delivery, manage sales force, expand offerings, and must deal with cash collection and credit headaches. And for retail shops, notably unorganized retail, the lack of visibility often shuts them off from critical credit lines and management tools typically available to only large retail chains, yet they serve as the greatest growth segment. Enhancesys solves this with an end-to-end, cloud-based system that enables transparent, turnkey ability to manage stock from source all the way into the hands of the consumer. Suppliers get unprecedented insight into where and when product is moving. Distributors are able to manage and enable their entire sales force, tracking location and productivity, easily adding to or modifying routes and responsibilities, while also giving sales staff access to the same information through mobiles and tablets. Shops enjoy the ease of avoiding time-consuming inventory entry, real-time tracking of sales targets, and can order and pay for goods, all through mobile or online tools. Participating banks can also be engaged to facilitate digital payments for goods purchased and benefit from visibility into the volume of goods ordered by shops so that they may assess credit risk and assume the credit management responsibilities that suppliers want to avoid.